"Without doubt one of the best things I've ever done! Really enjoyed every minute of it. Thank you so much Rachel for organising it. I think it's fair to say that Mud and Miles enriches all our lives and we are so very grateful"
"Thanks for all your help and encouragement. It's made such a difference, especially the improvers' sessions. I even got another parkrun PB this Saturday. Amazing, I had 4 years and no PBs, and now they are appearing like buses!" "On 21st Nov 2017 I had my first running session (could barely run a minute without stopping/walking). Exactly one year on I have ran a steady half marathon in the beautiful Clumber Park to mark my one year trail running anniversary! I would like to thank my fantastic running coach Rachel for all her invaluable input, guidance, support and patience. Through the trail running weekends I've made some amazing friends and been to such beautiful places. 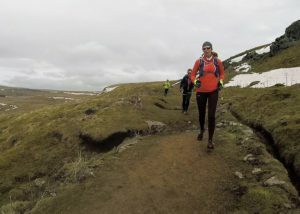 I knew I was hooked on trail running when I packed my running gear in my hand luggage for fear of losing it en-route to Switzerland!" "It was a brilliant day - I can't rate it enough. I learnt so much from Rachel. Great runs in a beautiful wood with a fab leader. I think I am converted to trail running! Thank you Mud and Miles. I have already messaged friends selling this great day and your runs." 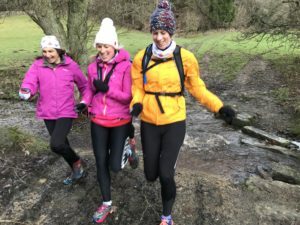 "I put my 'hill skills' training to the test on Worksop Half on Sunday - I can tell you now, I smashed those hills thanks to the tips and training you gave out. So thank you." "Thank you Rachel for another amazing weekend! My first visit to the Lake District and to say I loved it is an understatement!! 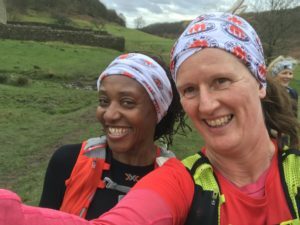 I have found a whole new love through trail running with mud and miles and I have met some wonderful ladies along the way. 8 months ago I ran my longest ever run in the Peak District on the 1st weekend, September saw me come back to the Peak District feeling stronger and hitting 1000km for the year, I wasn’t sure how I’d top both of these weekends but I found my navigation skills learned and running ability was getting me ready for the big stuff! I really cannot thank you enough for how much I’ve come on over the year and can’t wait to see what next year will bring." "16 months ago I went on my first guided run with Mud and Miles... today I ran my first marathon, off road naturally... The Longhorn. This was made possible by the amazing help from Rachel. I asked her to write me a training plan around all the events I had already got in my diary and with weekly feedback to keep me accountable, I put in the training.I couldn’t recommend Rachel’s help more- she has even sent me an email tonight with recovery tips and came to cheer me on. Thank you Rachel." "A bit sad that my 12 weeks of run coaching came to an end today. After being a fairly ok runner for a while, I had lost so much confidence in myself and as much as I wanted to keep running, I couldn't tackle the negative thoughts. 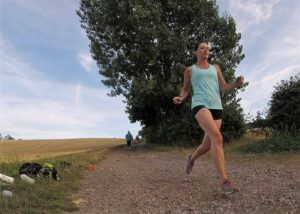 Rachel persevered - she is the most encouraging, inclusive, confidence-building run coach I know and I'm so grateful for the time she's spent with me. I'm still far from my fastest pbs, but at least now I know I CAN do it. Thank you Mud and Miles!" 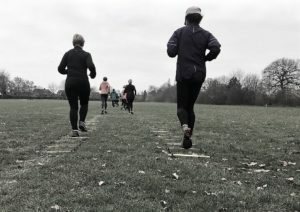 "After just a few aqua running sessions my park run times started to come down and without feeling I was putting in more effort I was getting faster and faster ! Running outdoors felt easier and over the last 10 months I have achieved HUGE pbs from 5k Parkrun to half marathon!" "Many many thanks for a great weekend. I really enjoyed it and learnt so much. Your knowledge and experience is second to none. I can now use a compass and read a map in detail. But more than that you have given me the confidence to go ahead and complete the Herriot Way. Thank you." "Thank you so much for your excellent coaching advice - I followed it to the letter. Result!" "I enjoyed the whole process and found it very insightful. Your knowledge and sharp eye were most appreciated. 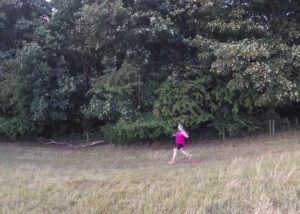 The ability to see some video footage of me running get advice on how to make simple improvements was so helpful. Thank you." 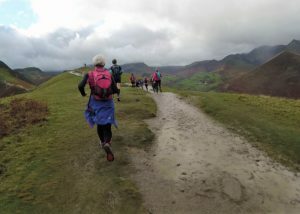 "Derwentwater 15k complete! Thank you for helping me get my confidence on the trails back Rachel, it's been a fantastic day!" 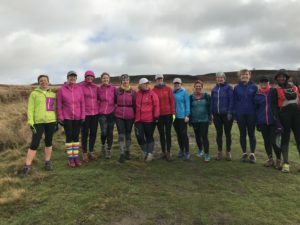 "I really enjoyed the session and came away with much more knowledge, information, motivation and faith in my running ability than I thought possible in 90 minutes!"